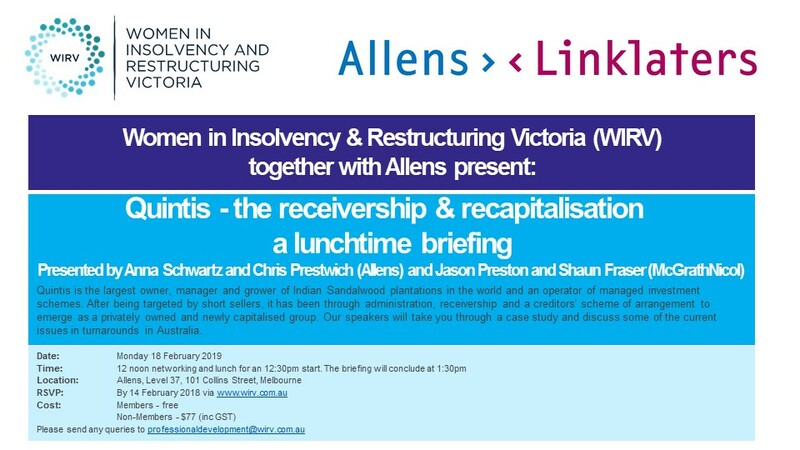 A huge thank you to everyone who attended our Lunchtime Briefing on 18 February 2019.. Anna Schwartz (Allens) and Jason Preston and Shaun Fraser (McGrathNicol) presented a very interesting and informative session about the recent receivership and recapitalisation of the Quintis Group. Thank you also to Allens for hosting the session and putting on such a delicious lunch! Bookings are not available as this event has passed.